Alrighty, for anyone that has new characters, and can't decide what next job you want to have, this is the guide for you! -Warriors do the most damage of any class in the game. -Warriors have the most Health (HP) of any class in the game. -Their third job skills are very flashy, impressive, and overall cool looking. -They are the only class which has a multi-enemy hit skill in the 1st job, namely Slash Blast. -Warriors have no ranged attacks until the third job advancement (Level 70). -Warriors have the least MP points of any class in the game (except for Dragon Knights). -The potions required to keep a Warrior alive and using skills becomes very expensive. -When you reach third job, Warriors are known to have the most amount of damage of the four jobs. -Ranged attacks, some of which can go through walls. -May use MP to replace HP with Magic Guard. -Second Job advancement classes have elemental attacks; Clerics have many useful party skills. -Decent damage at Third Job advancement levels. -Difficulty building a perfect Magician. -Magic Guard may consume too much MP and, therefore, may make the Magician replace HP potions with MP ones. -MP potions cost a lot of money (e.g. 100 Blue Potions cost 20,000 mesos, 19,200 at Ellinia Department Store). This problem can be lessened once you acquire Improving MP Recovery, and later on, MP Eater. -In Second Job advancement, low damage to monsters not belonging to a weak element. -High to very high ranged damage, mainly because of Critical Shot. -Knock-back ability that can block attacks from monsters close to you. -Can attack from far away. -Equipment is relatively cheap in higher levels — i.e., compared to that of other classes. -At Second and Third Job advancements, obtaining of effective mob-controlling skills. -Very unstable damage; this problem can be diminished by skills like Bow Mastery or Crossbow Mastery to tolerable amounts. -High consumption of arrows, until the learning of Soul Arrow. -Training is somewhat tedious whilst beginning and quite during First Job advancement levels. -Fairly low damage at level 20 and further, until roughly level 40. -Arrows can't be "recharged" like thiefs. -The most reliable arrows cost the most. -Assassins cannot kill mobs as easily as most other melee classes since they require range to throw stars, but this is made up for in third job with the mob skill, Avenger. -Assassins don't get much stronger than first job until about Lv35 or so. -Skill points may be applied in any manner. -Savage Blow remains a powerful skill. -With Meso Explosion, you can make Boss Fights rather easy. -Assaulter is a VERY powerful skill, especially when maxed, with a damage of 450%. -Assaulter also has a fantastic range, enabling you to use it and land on a ledge higher then you. -You can use Meso Explosion and Pickpocket together in combination quite beautifully. -Band of Thieves has a mobbing capability, thus making encounters with Mobs easier. -Chakra, using your MP, can restore a certain percent of your HP. -Meso Guard is a wonderful skill designed to protect you from a great deal of damage, and death. 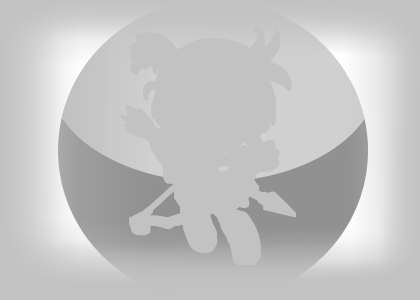 -Meso Explosion, especially during Boss Fights, may drain a ton of your Mesos. -Assaulter requires a Monster in order to be used. -Band of Thieves does not apply extra attacks unless there is more then one enemy nearby. -Chakra can only be used if your HP is under 50% of its Max. -Shield Mastery is by far the most useless skill, especially since you will most likely learn Meso Guard. Well there's my really long guide. This is very nice, but a con of warriors and archers is that they have slow movement. Which is really annoying. Unless you are getting thrust at Ranger status. Nice Guide. Explains a Lot about the Different Classes!